Company Details: I work as the Overseas Manager for The Five Points Brewing Company - an independent brewery making unfiltered and unpasteurised beers, since 2013. 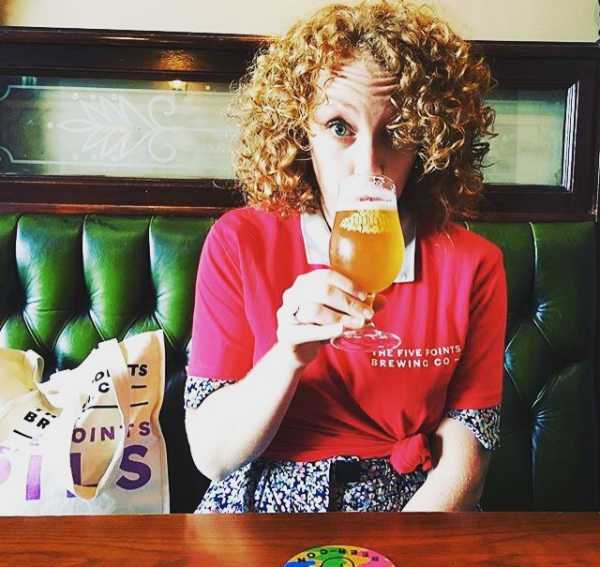 Biography: Originally from the UK, I have lived in Ireland since November 2017, working as the Ireland Account Manager for The Five Points Brewing Company, an independent brewery based in East London. After two years as the brewery’s London Sales and Account Manager, my move to Ireland has led to a new role looking after the brewery’s export market, and I am now the Five Points Overseas Manager. As an IBD Accredited Beer Sommelier and experienced Beer Judge, I am passionate about celebrating beautifully made brews, as well as being an enthusiastic advocate for bringing new people to beer and raising the profile of smaller, independent breweries across the globe.